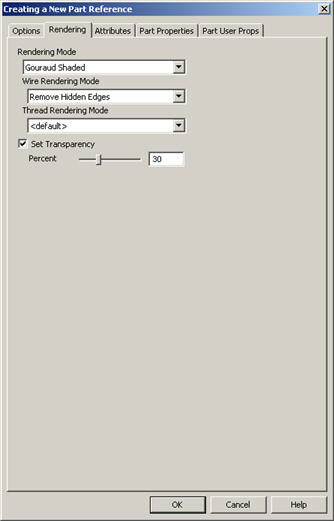 This pane, illustrated below, allows you to select the desired mode for rendering a part reference or to select the degree of transparency (0 to 100) desired. Note that, when creating a part reference, you use Assemblies>Create Reference>Rendering. When editing a part reference, you use Edit>Entities>Rendering.